Will Mac Belo and Russel Escoto return to the Tamaraws next season. A UAAP board decision to do away with the 'seven-year window' for athletes could clear the way for Far Eastern University star Mac Belo and center Russel Escoto to return for the Tamaraws' title defense this season, a source told SPIN.ph. The UAAP previously mandated athletes to play five years for their respective schools within a seven-year window from the time of their graduation from high school, leaving both Belo and Escoto ineligible at the end of the Tamaraws' run to the Season 78 title. However, sources said the UAAP board decided to dump the seven-year window and likewise lowered the age limit for athletes from 25 to 24 in a raft of rules changes in anticipation of a dearth in new players following the implementation of the K to 12 curriculum for schools. That change should be good news for Belo and Escoto, who, the source said, have only played four seasons with the Tamaraws. Both are also under 24 years old. Belo, an FEU source said, graduated from high school in 2008. This should be a welcome development for the Tamaraws, who, after beating University of Santo Tomas in the Season 78 finals to end a 10-year title drought, had expected to lose its core of Belo, Escoto, Mike Tolomia and Roger Pogoy. Incidentally, both Belo and Escoto are being eyed for the new Gilas cadet pool being formed by the Samahang Basketbol ng Pilipinas (SBP), which should keep them from declaring for the PBA Rookie Draft. Belo, the Finals MVP last season, Escoto, Pogoy and Tolomia played major roles in the Gilas cadets' title run in the Seaba Stankovic Cup in Thailand last week. 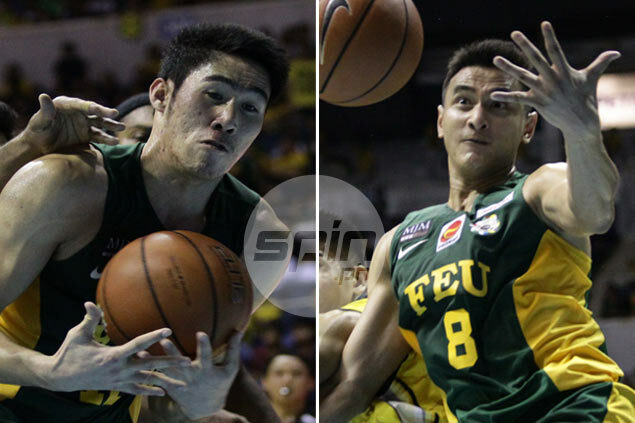 Tolomia and Pogoy have played out their five-year college eligibility, the source added.